Mac image: Apple Inc.; Chrome logo: Google Inc.
Every Mac comes with Apple's Safari web browser pre-installed. Lots of people use Safari because it's what their computer comes with, but it's far from the only browser you can use on a Mac. 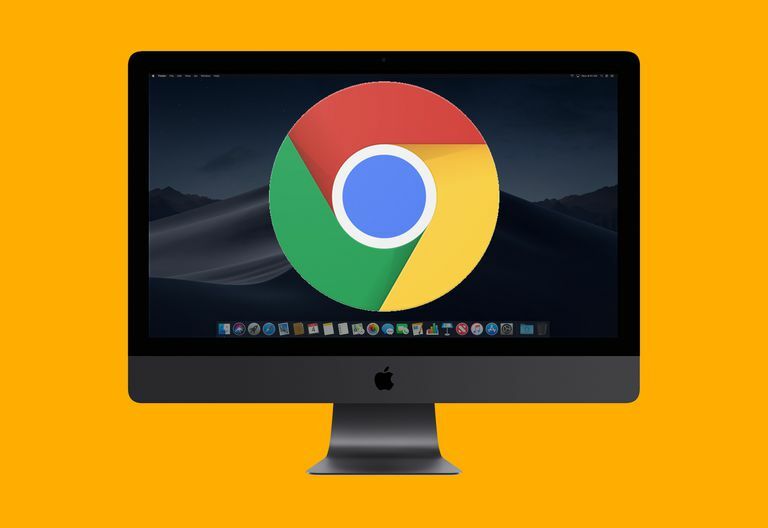 While Safari has lots of strengths and benefits, many people prefer to use Google Chrome on their Mac. It ties into the Google ecosystem. You can sign into your Google account using Chrome and get access to all of your Google services, and data stored in your Google account, right there in your browser. If you're a heavy user of Google services, Chrome is the simplest and most well-integrated way to access then. It's more compatible. This doesn't happen too much these days, but there are still instances in which a site won't load properly or function correctly in Safari. In those situations, you might have better luck with Chrome. It's available on many platforms. Because it comes from Apple, Safari is available only on Macs and iOS devices (it comes pre-installed on the iPhone and iPad, too). Apple used to offer Safari for Windows, but discontinued that version in 2012. Chrome, on the other hand, runs everywhere: Mac, Windows, iOS, Android, Linux, Windows Mobile and Windows Phone, and more. It has a huge library of extensions. You can expand the functionality of your browser by installing extensions. Safari supports extensions, too, but Chrome has a much bigger selection. With over 10,000 extensions available for Chrome, you can add on a huge array of features, from ad blocking to web developer tools and beyond. Convinced that you want to try Chrome on your Mac? Getting and installing it is really easy (and free!). Just follow these steps. Begin by going to the download page for Chrome on the Mac you want to install it on (ironically, you'll probably have to use Safari to go to this page). The site will detect that you're using a Mac and automatically suggest the right version for you. A window pops up that includes all the legal and licensing language for Chrome. Read it if you want, but that's definitely not required. If you want to just go ahead with the installation, click Accept and Install. The installer program for Chrome will download. If you're using Safari, you can click the download icon in the top right corner to monitor the progress of the download. In a few seconds, the installation will be finished and you'll have Chrome on your Mac. Before you start using your new browser, you should clean up the installer files. If you don't, those files will stick around, using up space on your hard drive unnecessarily. First, open a Finder window and, in the sidebar, look for the Devices section. Click the arrow next to Google Chrome. Then, in your Downloads folder, find googlechrome.dmg and drag it to the trash. Next time you empty the trash, the installer — which you don't need anymore, since Chrome was installed back in step 7 — will be deleted and free up your hard drive space.